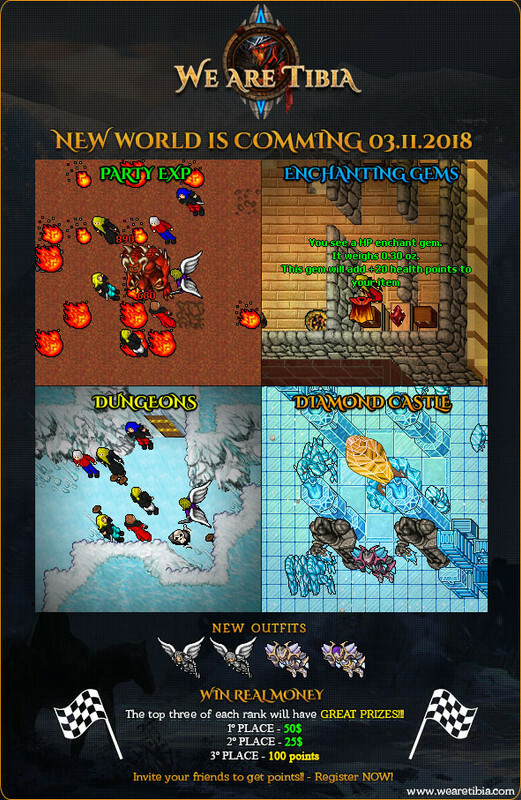 We cannot wait until the final release and hope to see new and old players alike showing up to battle the new and unexplored custom content that awaits your trial. Hope to see you all on saturday 03.11.2018 18:00 CEST ! Since we had many complains on EU server from U.S.A./BRAZIL players about bad latency, we decided to host second server located in Canada. Thanks, hope to see you on start. 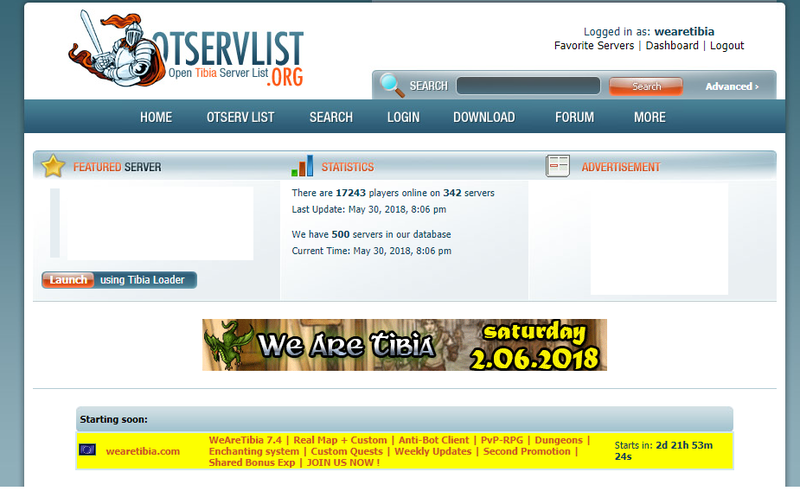 First part of advertisements on otservlist started. Countdown and highlight are comming soon. I like the custom stuff and the (for once) reasonable experience stage (aka not going from 100x -> 2x to provoke mass pking). Is it 7.4 or 7.7 mana system? Indeed about stages, anyways we got lots of entertaiment for players over level 100. It is 7.4 old mana system. Just a suggestion, make runes 1x instead of 2x. -With 2nd promotion it takes 24 min to make 40x sds and 13 min to make 80x gfb's. I feel it might be a bit strong? I Appreciate that suggestion, we will consider changing the runes charges. New quests and additional hunting grounds to be announced within a day or two again. Also working on replacing current inactive spawns with new, custom monsters, aswell as adding new variants of monsters to existing more popular spawns. Never been a better time to have a say in what goes in. Feel free to suggest what spawns you'd like to see, and where. Perhaps with or without requirements? Ragnar you don't have any unbalanced upgrade system this time? Nice, see you at start then. About spells, no there are no OP spells, we got some customs but none of them are OP. Bungel, enchanting wand has been removed, enchanting gems has been implemented. The higher upgrade you got on item, the chance of failing upgrade is higher. 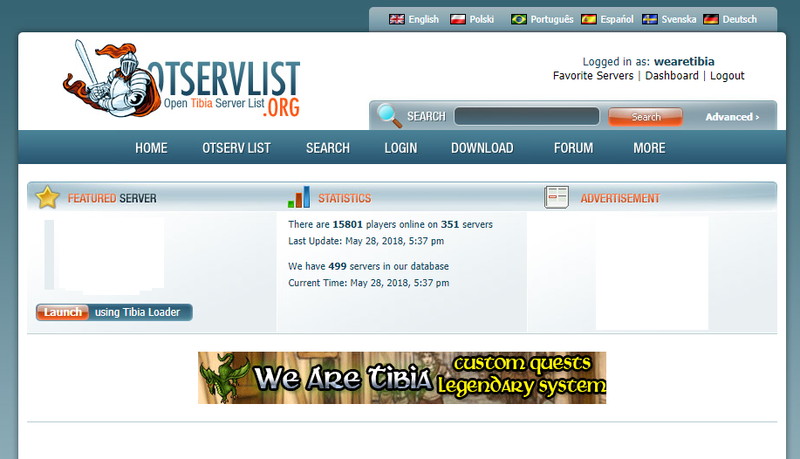 There is less than 24 hours till server start WeAreTibia Client has been oficially released ! Yeah! 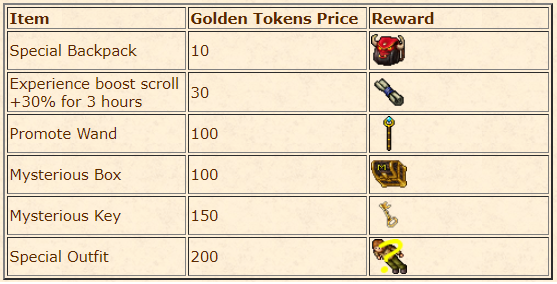 We got also another custom made quests, visit this page for more details ! @997boy Hello mate, rates are already setted. @Tamtam Türkiye Those rates are that way because of second vocation implementation.